Our mission at Jeff O. Mills Elementary, in a joint effort with home and community, is to achieve academic excellence by providing the opportunities and tools to develop self-discipline, a respect for self and others, a willingness to try, and a love for learning. Jeff O. Mills Elementary is located east of Hwy. 169 and west of 129th East Avenue between 76th Street North and 86th Street North in Owasso, Oklahoma. 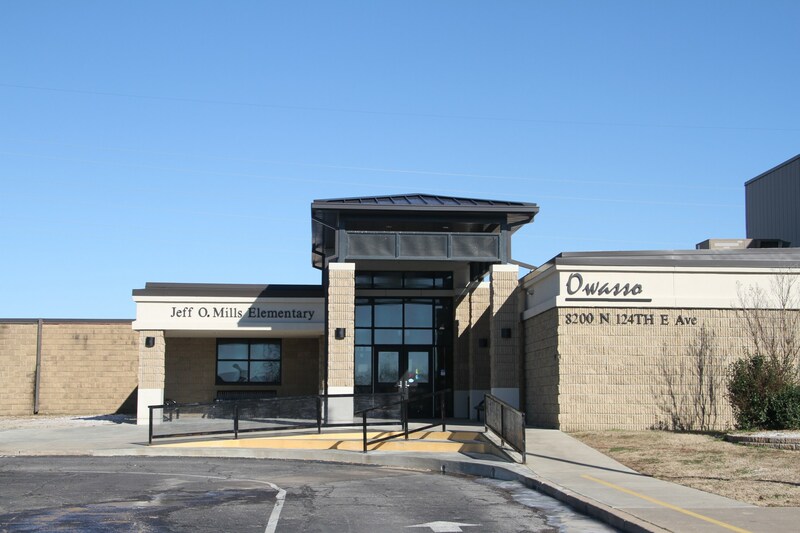 Mills is one of seven elementaries in the Owasso Public School District. It was originally built in 1978 and has had six additions since then. We are a school wide Title I program. All of our teachers and assistants are highly qualified. Mills houses 550 students in Pre-Kindergarten through fifth grade. Students participate in Physical Education, Music and Computer classes. In addition, other services that are available include Speech & Language, Mild/Moderate Special Education, Reading and Math Intervention, Indian Education, and English Language Learners class. Fifth Grade students have the opportunity to participate in Honor Choir and Safety Patrol if they meet the requirement of those activities. The Mills Action Club is the Parent/Teacher Organization for our school. The fundraising done by MAC makes possible many programs and activities that our students enjoy.